Planning to do some shul shopping Essex, Union, Morris, Somerset, or Sussex County? No matter what your relationship was (or wasn’t) to synagogue in your childhood, the time comes in many parents’ lives when they are looking to find a synagogue for their family. You might be searching for a place to hold a baby naming ceremony, a preschool, a Hebrew school, or for somewhere to find your Shabbat groove. No matter the reason, finding the perfect fit for you and your family can be even harder than finding the perfect pair of jeans, which is why we’ve compiled this list to help you get started. Need a bit more guidance? Contact Sarah Segal, Manager of Synagogue Initiatives at the Jewish Federation of Greater MetroWest for a one-on-one consultation. The fine print: The information on this page was provided by the respective synagogues and as such, we can’t ensure the accuracy of any particular entry. Want more information? Give them a call, check out their website, and maybe even plan a visit. Description: Congregation B’nai Israel was established in 1990 as an outgrowth of a Jewish Awareness Series sponsored by the United Jewish Federation of Central New Jersey. Our goal is to create and maintain a religious community with the warmth of an extended family, a place where we can feel at home, share simchas with friends, and find comfort and support when it’s needed. Our congregation offers a full spectrum of synagogue activities, including Shabbat and holiday services, religious school, adult education programs, social action, and a variety of social events. Denomination: Temple Ner Tamid is a dynamic, warm and supportive congregation whose mission is to help people of all ages and backgrounds grow Jewishly through Torah/Study, Avodah/Worship, and G’milut Chasadim/Acts of Lovingkindness. Our diverse congregation embraces the values of lifelong learning; inclusive, participatory and inspiring services; and repairing the world. As we learn and teach, live and pray together, we embrace each other and our Judaism with joy. Special Needs: We work with each family individually to meet each individual’s needs. Description: As a 920 family congregation, we provide opportunities for all “ages and stages” through our state-certified early childhood center that includes an extended-day option, religious school, programming for high school students and day school students, award-winning Kadima and USY chapters, new mother groups, and extensive opportunities for adults such as films, guest speakers, book groups, discussions, social events, concerts, social action projects, trips, Melton instruction, plus more than a dozen courses taught by an array of instructors. Special Needs: Temple Sholom accommodates children with special needs and different learning styles. Description: Temple Sholom of West Essex is a warm, welcoming and very inclusive congregation serving individuals and families across Essex County, from Montclair to the Caldwells. Affiliated with the Union of Reform Judaism, Temple Sholom offers a dynamic religious school education for kindergarten students through confirmation, scheduled once weekly in recognition of the many demands on families. TSWE also offers a vibrant and active teen youth group and exceptional adult programming. TSWE is an active member of the larger community with ongoing social action initiatives. We meet our members wherever they are in their Judaism, and look forward to meeting you! Description: Temple Beth O’r/Beth Torah is a vibrant and welcoming Conservative egalitarian synagogue that serves as a spiritual home for the Jewish community of Central New Jersey. Our goal is to bring people together to celebrate the joys of life and to support one another in times of challenge, and to engage in the process of bettering the world. Description: TBEMC is a small community but we do big things! We have a full-time Rabbi and Cantor/Education Director, and welcome families from all over Union County, including Cranford, Westfield, Scotch Plains, Fanwood, Garwood, Roselle Park, and Elizabeth. Our worship services are beautiful, welcoming, and participatory, and our adult education program is expanding year by year. Description: Temple Hatikvah is an inclusive congregation with members of varied levels of observance. Interfaith families and Jews by choice are an integral part of our synagogue family, and we appreciate and welcome diverse family structures into our community. Temple Hatikvah, with its active Men’s Club, Sisterhood, and youth groups for children of all ages, is truly a community in every sense of the word. Description: Congregation Anshe Chesed is a dynamic, inclusive and growing Modern Orthodox synagogue for all ages dedicated to meaningful prayer, personal spiritual development, community growth, youth involvement, Torah education and Religious Zionism. Description: Temple Beth Shalom is committed to the transmission of Jewish tradition and practices through the generations. It is our hope and goal that all who pass through our doors leave with a greater understanding and love of Judaism, a desire to live a Jewish life, and a feeling that they are part of a welcoming, vibrant Jewish community. Description: As one of the largest independent synagogues in the country, we work together to define our own independent path. We strive daily to be faithful to the teachings of the Torah, dedicated to the acquisition of Jewish knowledge, and committed to the well-being of the Jewish people in America, Israel, and around the world. Description: We are a warm and welcoming Orthodox synagogue that accepts all people regardless of background. 85 W. Mount Pleasant Ave. Description: Suburban Torah, founded in 1969 as the original Modern Orthodox synagogue of Livingston, NJ is a vibrant and diverse community founded upon a commitment to Torah and mitzvot, the State of Israel, and each other. We are a warm and inclusive community which values every individual, wherever they may be on their Jewish journey. We take pride in our active partnership with the town of Livingston and the greater area. As a synagogue, we strive to serve God with joy, grow as Jews, and do our part to strengthen the Jewish people. We invite you to see what we’re all about. Description: Congregation B’nai Israel is an egalitarian synagogue community that offers many ways to enrich your Jewish life through its worship services, early childhood center, religious school, educational enrichment for children and adults, social action committees, youth groups, holiday observances and special events, to name a few. Affiliated with the United Synagogue of Conservative Judaism, the congregation is open to all levels of Jewish experience and strives to create a Jewish community in tune with our modern lives. We hope to help our congregants connect to Judaism on a comfortable and meaningful level and make every effort to be accessible and manageable in that process. We welcome you to our congregation—our Jewish home away from home, and encourage you to visit often. Description: Bnai Keshet is a vibrant Reconstructionist congregation that values both the unique individual backgrounds and beliefs of its diverse members and our shared historical traditions. We celebrate our role as participants in the evolution of Judaism by engaging our tradition thoughtfully, so it remains meaningful and relevant to each of us. In this spirit, we are committed to life-long education, to hesed (caring), to tikkun olam (repairing the world), and to sharing important life events. We are an informal and respectful community moved by prayer, fired by lively discussion, enlivened by laughter and song. Special Needs: Our building has an elevator and is fully accessible for those with special needs. Our lectern and Torah-reading table are on floor level, so there are no stairs to climb for an aliyah. Our religious school can accommodate most children with special needs. Our well-trained faculty will develop individualized educational plans. Description: Our synagogue embraces members from a wide range of backgrounds and ways of Jewish living. We strive to build a community that welcomes individuals, couples and families of diverse backgrounds and orientations to join, grow and thrive with us. Shomrei Emunah weaves us all together as we observe an egalitarian, vibrant Judaism, balancing openness, modernity, and traditional practice. We aspire to be a beacon of social consciousness and action. Shomrei has a voluntary dues model. There are no set dues, each member determines their own annual financial commitment each year. Description: Adath Shalom exists to nurture the Jewish identity of all who enter our doors by making Judaism continually and increasingly relevant in our lives. An egalitarian and inclusive community affiliated with the Conservative movement, we are dedicated to Torah, tradition, and each other. We celebrate Judaism in a creative, warm and life-affirming manner, and welcome the diverse views and participation of members of all abilities in the evolution of our spiritual and community soul. Description: We are a historic Jewish house of worship affiliated with United Synagogue of Conservative Judaism, founded in 1899 and resident in our building since 1929. Our mission is to serve our community as a house of worship and provide a religious school to educate our children. Our mission also includes being an advocate for Jewish causes and a supporter of the State of Israel. We are open to the greater community for programs and provide shelter and assistance in times of need. Denomination: Temple Beth Am (House of the People) is an egalitarian, all-inclusive vibrant congregation that provides programs and resources for those interested in the many aspects of Reform Judaism. We have a warm and welcoming congregation and open our doors to young and old, singles and couples, Jews-by-birth, Jews-by-choice, non-traditional and interfaith families. Description: We are an open Modern Orthodox community synagogue. With a warmth and love of all people, we open our doors to families of all backgrounds. Description: Congregation Beth Israel is a warm and welcoming, vibrant, traditional yet egalitarian Conservative synagogue. Conveniently located in Scotch Plains, it serves the religious, cultural and social needs of congregants from Scotch Plains, Fanwood, Westfield and surrounding towns. We strive to create a warm, welcoming, dynamic community that takes pride in its Jewish heritage and is inspired to learn, understand and participate in Jewish life. Our Religious School has won awards for its innovative approaches, and we offer rich opportunities for personal growth at all ages. Special Needs: Temple Sholom’s Inclusion Taskforce provides support and special programs for adults, children, and families with special needs, and engages them so they become active members of our Temple community. To accommodate individuals with special needs, we designed our new synagogue to be all on one level — no stairs or elevators — and included handicap-accessible ramps and curb cuts. We also installed an ADA-certified bathroom. Our religious school includes the Al Pi Darco program for students with special needs. Description: Congregation B’nai Jeshurun is a vibrant and welcoming Reform Congregation where Jews-by-birth, Jews-by-choice, interfaith families, as well as traditional and non-traditional families, celebrate our Jewish faith and heritage. The heart of B’nai Jeshurun is our faith, our commitment to Tikkun Olam (Social Justice), tzedakah, and the study of Torah. Together as a community, we come together to welcome Shabbat, celebrate High Holy Days and Festivals, and share in Life Cycle events. Visitors are often struck by the energy at B’nai Jeshurun. Description: At Chabad at Short Hills, we warmly welcome every Jew, and we invite you to participate in our services and festivities throughout the year for a unique and uplifting experience. Description: Congregation Beth El, located in South Orange, New Jersey, is an inclusive, egalitarian community and school, drawing members from surrounding towns. We are a dynamic egalitarian Conservative synagogue with a strong commitment to inspiring learning, engaging worship, and pursuing social justice. We offer a religious school and preschool in addition to year-round worship and programs. Beth El is a member of the Big Tent Judaism Coalition of inclusive communities, and we welcome people of all ages, genders, and backgrounds to join us on our journey—learned or novice; born Jewish, Jew-by-choice, or non-Jewish living Jewishly; single or partnered; gay or straight. Description: Established in 1860, Oheb Shalom is an active and inviting egalitarian congregation with something for everyone. From our award-winning Nursery and Religious Schools to programs for teens and seniors, we celebrate Conservative Jewish tradition and seek innovative and progressive ways to live as Jews. Our warm and friendly members connect through a robust sisterhood and men’s clubs, dedicated social action committee, as well as educational and provocative programs throughout the year. We have several youth services on Shabbat morning, including a young family service, and a Friday Night Musical Shabbat every month. We are one people with many voices — join the conversation at Oheb Shalom. Description: We are an inclusive, diverse congregation committed to developing and fostering a joyous and meaningful lifelong Jewish experience. At TSTI, we celebrate the religious principles and moral values of Judaism through worship, acts of social justice, the study of Torah, and community service. Description: We pride ourselves on being a warm home for Jews of every kind of background. There are no obligations – financial or otherwise – for joining our programs. Description: Temple Beth Ahm Yisrael is an egalitarian congregation affiliated with the United Synagogue of Conservative Judaism. We are an inclusive congregation, welcoming families of all shapes and sizes, including interfaith and LGBTQ families. We have something for everyone and are laid-back, warm, and homey. Hebrew School: Yes, Grades K – 7, Keshet & Confirmation, Grades 8 – 10. Special Needs: Our physical and programmatic accommodations are sensitive to the inclusion of all in worship, study, schooling, and programs. Description: Temple Sha’arey Shalom has been a strong Reform presence in Union and Essex counties for over 60 years. We are a diverse community of Jews of all ages and stages of life, and warmly welcome families and individuals who are interfaith and of every race, sexual preference, as well as those who want to learn more about Judaism into our inclusive, egalitarian community. In addition to nurturing your religious and spiritual soul, our wide array of educational, informational, entertaining and social programs include community service and social justice opportunities, adult B’nai Mitzvah, Hebrew classes and more. Special Needs: Our learning center uses different methods, including computer-based activities, to accommodate varying learning styles. Description: Temple Shalom is guided by our Jewish values of Torah – study and experiential learning for all ages, Avodah – spiritual, personal, and communal worship, and Gemilut Chasadim – bettering the world through tangible actions. We celebrate Reform Judaism in words, music, action, and interaction, with an emphasis on Jewish traditions. We are a supportive and caring extended family, welcoming all and serving a broad area of northwestern New Jersey. Special Needs: Among the core values of our congregation are: inclusion, the creation of a caring community, and the creation of an environment that is comfortable for all in which individuals feel respected and valued and that exemplifies menschlekeit (conducting ourselves in a way that is caring and respectful). We strive to care for our members through all of the stages of their lives. Description: Congregation Beth Hatikvah is a Reconstructionist Synagogue located at the intersection of Union, Morris, Somerset, and Essex Counties. We are a progressive community of committed, engaged people, who come together from different Jewish backgrounds and experiences, traditions, races, and sexual orientations — who care about each other, their heritage, and their world. 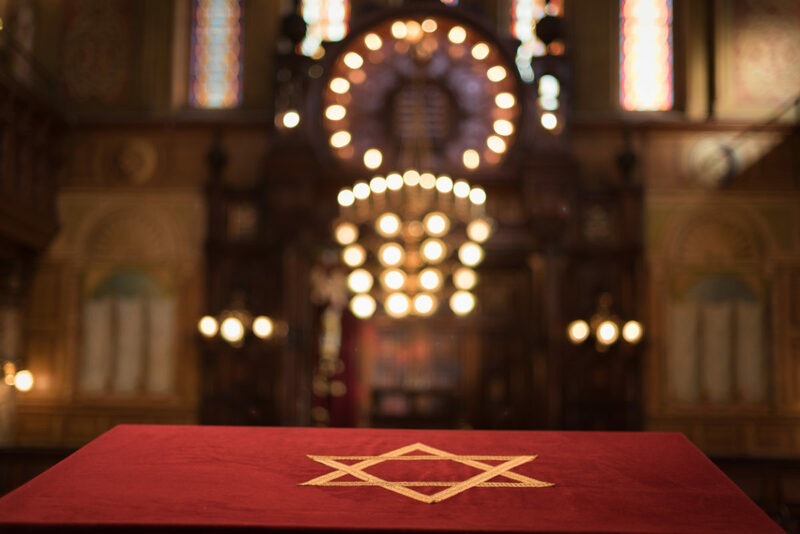 Reconstructionist Judaism is a progressive, contemporary approach to Jewish life which integrates a deep respect for traditional Judaism with the insights and ideas of contemporary social, intellectual and spiritual life. Description: Our synagogue is a 65-year-old congregation located in a beautiful and homelike renovated mansion. Our community is diverse and welcoming to individuals and families of all ages. The sense of community is evident when you walk in the front door. Description: We are a close-knit shul with about 80 member families led by a young, dynamic rabbi and rebbetzin, Michael and Yael Bleicher. We warmly welcome each and every Jew who seeks a place to daven, study Torah, and connect to God. There is no “typical” member at the Elmora Hills Minyan. Description: An inclusive, vibrant and progressive Reform congregation that welcomes everyone through its doors to share in the warmth of our community, our services, our school, and our programming. We seek to meld the rich history of Judaism with 21st-century life. Our cutting-edge educational curriculum, a wide array of engaging speakers, services, and social action opportunities provide continuous learning to meet the needs and enrich life’s experiences for all ages. Special Needs: Our goal is to ensure that Jewish learning and life is accessible to every member of our community. We are committed to helping Jewish families provide their children with a Jewish education and fulfill their dreams of seeing their child called to the Torah as a Bar/Bat Mitzvah. Description: The founding families came from Orthodox, Conservative, and Reform backgrounds, with varying attachments to each. Assisted by our first Rabbi, they devised an interpretation of Reform Judaism uniquely their own: an organic Jewish community with integrated religious, cultural, social and philanthropic efforts. For more than 60 years, Jews of all backgrounds and beliefs have felt welcome in Temple Emanu-El. Description: Congregation Ahawas Achim B’nai Jacob & David is a vibrant, welcoming, inclusive, and growing Modern Orthodox congregation that is grounded in Torah observance and encourages an ongoing commitment to spiritual growth, enhanced shul involvement, support of the State of Israel, and participation in our broader local community. Description: We honor and respect the image of HaShem that dwells in all of us by striving to be as inclusive as possible. We are respectful of both normative halacha and ritual tradition. Services are conducted in a “Partnership Minyan” format to provide a wide range of ritual leadership opportunities to all who attend. Description: We are all inclusive, very heimish, and we are very proud of all our youth. Please note that this article was compiled with the most current information available. If you are a local synagogue and would like to update, or add your information, please contact gmw@kveller.com. Thank you!